Hidden or poorly running cranes? 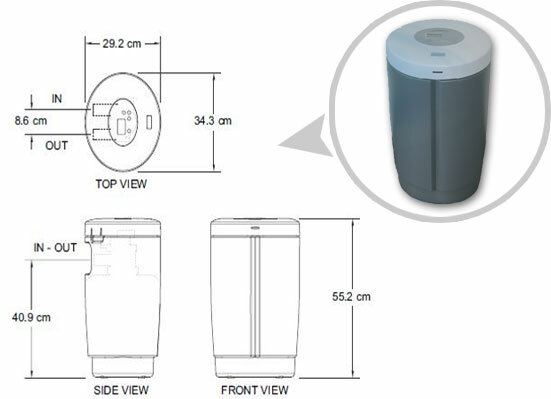 Sand, limestone particles and sediment are filtered out of the water by this simple installation consisting of a filter housing with replaceable filter candle. 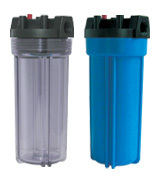 Standard is a dirt filter of 25 micron, other filters such as activated carbon are also available. This filter is suitable for removing unpleasant odors and tastes from the water and can be placed both on city water and on well water. Its compactness is a very important asset. This filter also uses this filter. of the familiar valve technology of the Ecowater Systems softeners. As a result, the filter mass must only be replaced after a few years. Flow rate at a pressure drop of 1 bar 41,6 L/min.